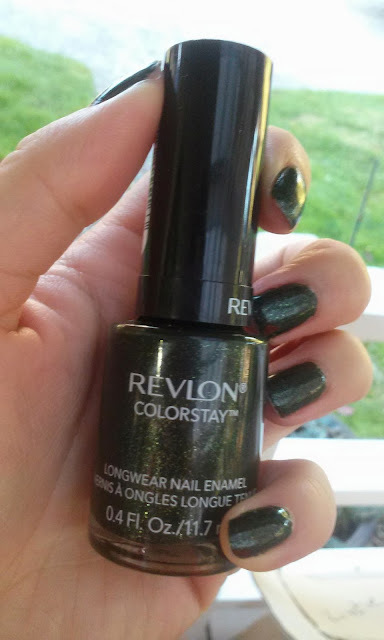 I love all most of the Revlon Colorstay Nail polishes, and with fall being here, I thought it was the perfect time to bust out the jewel tone colors, especially this color, Rain Forest - a dark shimmery green. Apologies for the slight chipping, I took the pictures about 2 days after I painted them on because I forgot to take pictures earlier! 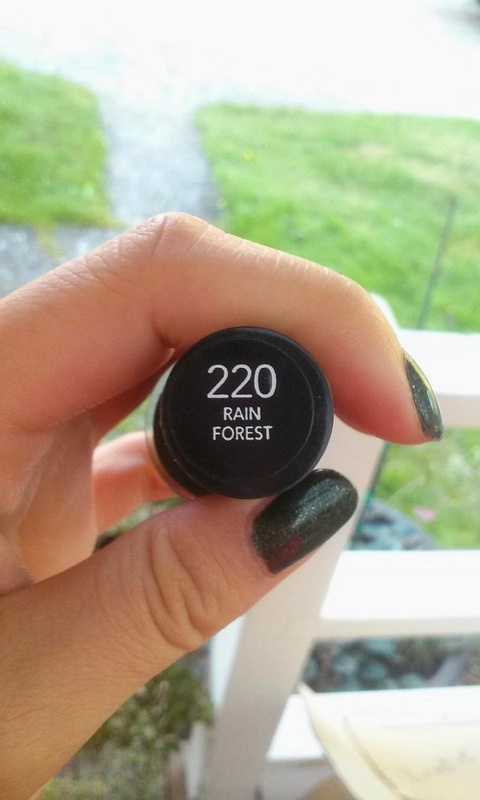 I love the formula for this nail polish line and this one was exceptional since it is basically streak proof. The formula goes on smoothly and not too thick either. 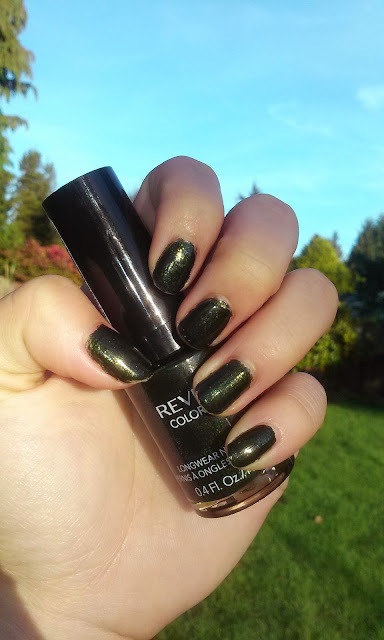 I used the 1 coat of the Revlon Colorstay base coat, 2 layers of Rain Forest, and 1 coat of the Seche Vite Top Coat. There was slight chipping after a couple days of wear, but mainly because I didn't wrap the tips well. I'm on day 4 of wear and there is just a some slight wearing on the tips. Other than that, the polish still looks good. 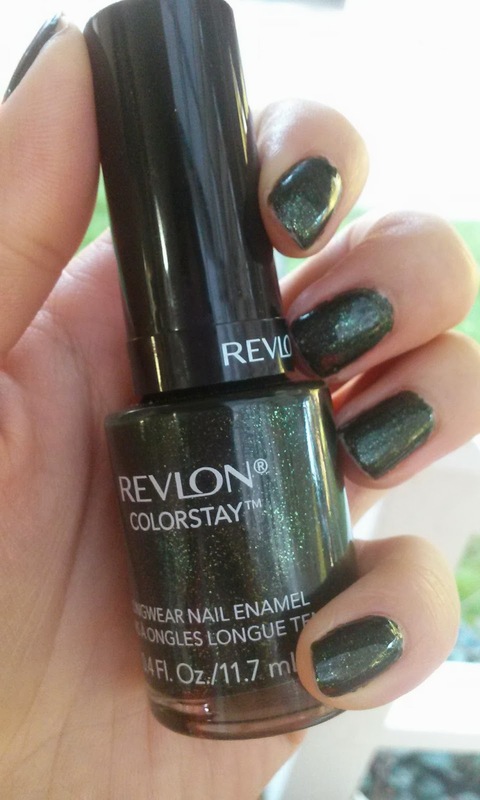 I love the color of this polish and the shimmery glitter throughout just adds some life to the brightness. The dark green is just perfect for fall and is a good change away from the dark reds and plums. I highly recommend this color and to get them at Target since they're the cheapest there at around $4.99 ($4.75 now on sale!). Everywhere else can go as high as $7.99 so definitely check out Target and Walmart first!